BHOPAL: One of the most important chapters of Indian history, especially in Central India--the martyrdom of hundreds of Indian soldiers who had rebelled against East India Company, captured Sehore and taken over administration, remains nearly forgotten today. For almost five months, Sehore, was free and the rebel soldiers had set up a local government including courts. Yet, there is no commemoration at the state level or any major official event in memory of these soldiers, except some local events in the town. 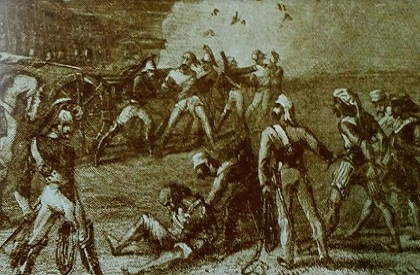 Historical texts suggest that there was unrest among soldiers with the East India Company in Sehore too in the wake of 1857, when the first war of independence began. Here, the rebellion took place in the month of August. Led by Risaldar Wali Shah, the soldiers captured the town and brought down the Union Jack. Apart from Shah, others who led the attack included Koth Havaldar Mahavir, Arif Shah, Ramju Lal. The British political agent’s offices were taken over. For almost five months, it was ‘Sipahi Bahadur’ that ran the administration instead of ‘Company Bahadur’. Two separate courts were set up in Sehore. Two flags—Nishan-e-Mohammadi and Nishan-e-Mahaviri were hoisted. The rebellion had blessings of last Mughal Emperor Bahadur Shah Zafar as well as Rani Laxmi Bai, who was in touch with the soldiers. For the British forces, it was a big headache. The sole comfort was that the erstwhile princely state of Bhopal was still with the Company and so were most other states around. Finally, a big force was dispatched and the rebel soldiers were overpowered. General Hugh Rose ordered execution of the soldiers. The revolutionaries were caught, their hands and feet tied, and they were shot in cold blood. Locals later mentioned that there was so much blood around that it was visible for long. The day of mass execution was January 14, 1858. First, 149 soldiers were shot in a ground. At different places soldiers were killed in dozens. Apart from local residents who offer homage and pay respects, there is hardly any major event to remember the sacrifice. “The Sehore killings of January 14 was the Jallianwala Bagh of the region”, says Dr Alok Gupta of the Bhopal Rajya Swatantrya Andolan Smarak Samiti. “In all, around 400 soldiers were shot dead on this day, as per historical records”, says Dr Gupta, who is son of freedom fighter late Bhai Ratan Kumar. “It is unfortunate the martyrdom is not commemorated”.